What to do: Create and use a career-development-and-management-only email address. On the small chance that you’ll be asked to pack your personal belongings and never return, you’ll be assured of having uninterrupted access to your career materials and login credentials. Auto-fill is not your friend. We too often use personal email addresses for job searching, online professional profile logins, and general business, resulting in co-mingled professional and personal business activities. What to do: Your newly designated career only email address will mitigate the chance that email auto-fill will bite you in the arse because you’ll carefully parse personal and professional topics. Associate your LinkedIn login credentials with the new email address for good measure. Opportunity will not knock if you can’t be reached. Funny how many of my clients mention not having much success with LinkedIn until they give others a clear path by which to reach them. What to do: If you’re not a premium member, make your new career only email address public so interested parties (hopefully legitimate ones) can reach you if they find you on LinkedIn. Your digital trail may run deeper than you think. Sites like Spokeo.com are capable of aggregating material associated with a single email address from across the Internet, pulling from many, many years in the past. Findings are available as a free report for general users, and as a deep dive report for entities who pay the extra bucks. That AOL account you’re still nursing from 1996 may reveal more of your past than you care to share. What to do: Keep that newly secured career only email address fresh and clean. Restrict its use to career-related purposes only. 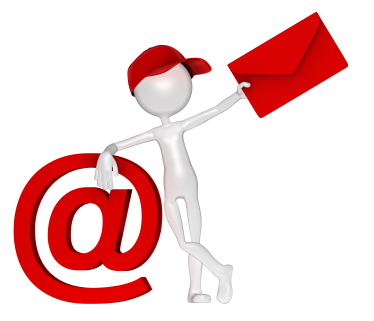 Keep email tidy, retrievable, and archivable with your new career only email address. A Word of Caution: It’s smart to research past and current employer LinkedIn policies before making decisions about your LinkedIn profile.